Is Your Indoor Air Clean? Health & comfort, no matter where you are. The quality of the air we breathe is important. Unclean air can often aggravate allergies and lead to respiratory problems for family members. Losing your heating or cooling in winter or summer is more than an inconvenience. We’re ready to help you with after-hours emergency repair service for critical climate control failures. We’re committed to protecting you! We’ve been making homes and business comfortable and healthy for decades. No matter what type of heating or cooling problem you have, we are the experts you can trust. 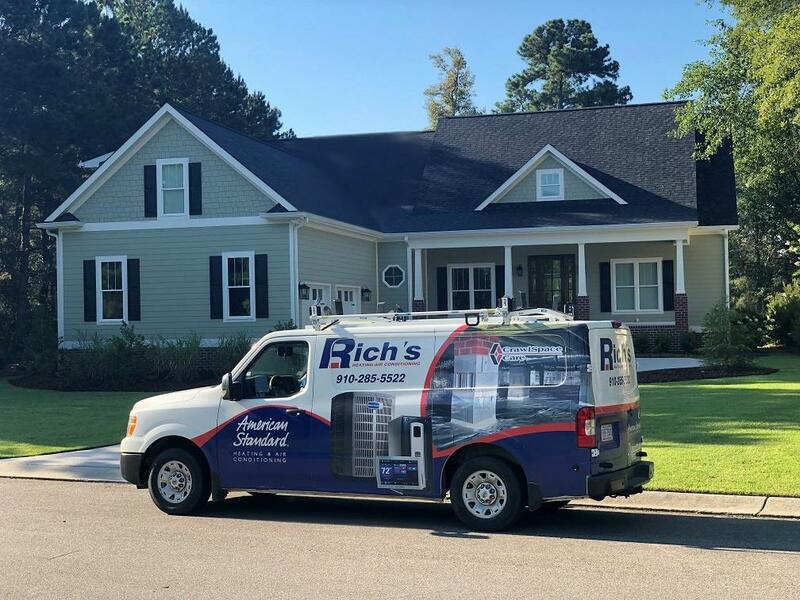 For years, Rich’s Heating & Air has employed exceptional service and superior care to keep our customers comfortable. Our company recently expanded, but you can still expect the same commitment to the quality solutions and personalized customer service that have always been a part of our policy. From installation to maintenance and repairs in your home or office space, our knowledgeable staff is ready to assist you and get your climate back under control. We serve Bladen, Duplin, Onslow, New Hanover, Pender, and Sampson counties.